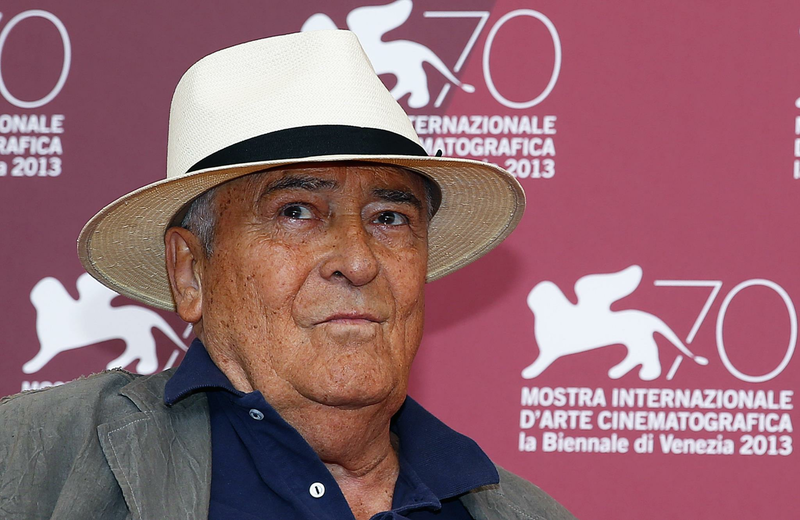 Bernardo Bertolucci died of cancer this Monday in Rome, at the age of 77, the newspaper said. La Repubblica. Who will say goodbye to the director with a addio in the title of necrology "to the last master of Italian cinema". The Last Tango in Paris perhaps it is his most "famous" title if the scandal and its sequels are the indicator. As for the Oscars, there are The last emperor (nine received, including Best Film and Best Director). But maybe your masterpiece The tragedy of a ridiculous man (1981), in which he was confronted in those years with the "ugliness" of Italy. These titles show the caliber of a trip: filmmaker, poet, documentary maker, producer, became a symbol of an international film, moved from the cinema to personal experiences to mega-production of prestige. He was possibly the last Italian director with a real worldwide projection. The son of the poet Attilio Bertolucci, his first films, released in the early sixties, was of fundamental importance to the public perception of an Italian "new cinema", born under the auspices of nouvelle vague and in a complex relationship with the norm of Italian cinema, both that of the 'big masters & # 39; as the popular cinema. Titles such as The Comare Secca (1962) or Prima della Rivoluzione (1962), made before the age of 24, were the dazzling launch of a new sensibility in Italian cinema, together with the films of Marco Bellocchio (almost the same age as Bertolucci), and under the intellectual and artistic aegis of Pier Paolo Pasolini (which was the most important reference of the two, Bernardo and Marco). Born in Parma in 1940, he began his film career at the age of 20 as an assistant to Pasolini – Accattone, 1961. The first time they met, Bernardo Pier had seen Paolo before a thief – he had beaten on the door of Attilio's house, of which he was a friend, and Bernardo felt attacked by it. violence & # 39; that he saw in that body. This was one of the beautiful things that were told in the documentary Bertolucci at Bertolucci, by Luca Guadagnino and Walter Fasano, who was essentially the spectacle of the body and the thought of Bernardo, he, a lover of psychoanalysis, to interpret himself, to interpret himself and his 50 years of cinema. A lover of psychoanalysis and of Godard, with whom he had been angry at the height of the revolutionary year of 1968 and who, as a new declaration of love that surpassed all unrest, gave the Golden Lion of Venice the first time became jury of the competition, the Prénom Carmen (1983), film in memoriam small films (who saw the recent debut The Godard Fear, by Michel Hazanavicius, however weak the film was, a glimpse of the stormy rage between the two). He began by being a poet at the age of six, to imitate his father, as he said. He left poetry for the films, and thus he was symbolically killed – Politics and psychoanalysis: the diet of the interests of the young Bernardo Bertolucci was much of that time. There were very explicit conversations about parents and The Spider Strategy (1979) The moon (1979) or Io and Te (2012). This is what, fundamentally, Before the revolution (1964) Tragedy of a ridiculous man (1981). The first showed the bourgeois Bertolucci to want to make body with what was the hypothesis of the future for him: the proletariat. Soon in the first generic: "Who did not live the years before the revolution does not know what is the joy of life". But it was already one requiem. That the second would confirm the leadership without sweetness. Talking about parents and children was over. Ugo Tognazzi played an industrialist who was without his son, kidnapped by a terrorist brigade, but his son and kidnappers would have been complicit in extorting money from the industrial. It was the "Italian film about Italy" that Bertolucci wanted to do, impenetrable film, seemed to be silent, leaving the audience without the north. Bertolucci also believed that he had reached something terminal. Once again, he did not manage to counteract the ugliness of Italy, as he said, he went in search of beauty, in China or Morocco, in films like The last emperor or A tea in the desert (adaptation Paul Bowles), with which he did not crush his reputation: the revolution was replaced by decoration. But even before that, in Il Conformista, adjusting Moravia and researching the normality & # 39; of fascism, had its first moment in which it sought out the grandeur and the impact, in the production and the public to conquer. It was inaugurated with this film, which was shown just below us in the context of LEFFEST, its period of greatest celebrity (in the scene where the character of Jean-Louis Trintignant receives the telephone number and address of the anti-mussolinian university professor, refugee in Paris, whose trust is supposed to conquer, this phone number and address, in a kind of cruelty private joke, correspond with what then were the coordinates of the Paris house of JeanLuc Godard). Subscribe for free to the newsletters and receive the best of today and the most profound work of Público. It was it The Last Tango in Paris (1972), or frisson with the sexual acrobatics of Marlon Brando and Maria Schneider, a success of a scandal that still did not cease to echo (reason why Schneider later counted on episodes of the shooting years); were the years of it 1900, epic over the first decades of the twentieth century, summed up in a confrontation between progressive forces and reactionary forces, socialism and fascism, in a film with American film stars (Robert de Niro, Donald Sutherland) and the years of The moon, 1979, where an American actress (Jill Clayburgh) depicts the figure of the mother & # 39; the person who projected the son – even psychoanalytic reverberation – interpreted his incestuous phantoms. This period ends in 1981 with the The tragedy of a ridiculous man, echo & # 39; s of the Italian "leading years", in dialogue with the feeling of moral bankruptcy of society (as the director Mario Monicelli said about his enormous A Borghese Piccolo Piccolo, a few years earlier that the "Italian comedy" "killed": "the Italians had become infiltratable because of the irreversible loss of their positive qualities"). After the Tragedy of a ridiculous man there is a gap (marked by a farewell documentary by Enrico Berlinguer in 1984, also a kind of requiem by Italian communism). And when Bertolucci comes back, he comes dressed like an "international filmmaker", a costume he would never leave – it's especially horribly disappointing The little Buddha, 1993. After a final film production and an international cast – Stolen beauty, 1996 – in which a director feels himself to pursue "themes", but does this in a non-characteristic way, he lifts his foot off the accelerator: only two feature films in 20 years, The Dreamers, 2003, a distant, romantic and disillusioned evocation of that period around May 1968, and a surprisingly discreet and intimate conclusion, Me and you, in 2012, the story of two half-brothers discovering each other while hiding in the basement of the parental home, between many echoes (expressed in self-quote or self-parody, of Before the revolution even Last Tango in Paris) and a song with David Bowie's voice to tell the history of a in Italian ragazzo solo and a ragazza alone. She had been dependent for years on a wheelchair after she had been operated on a hernia. In one of his latest films, the short for ordering the 70 years of the Venice Film Festival, Future Reloadedand that was a little glance, as we saw it, in the daily struggle to circulate through the Roman Transtevere. Reading mode gets access to Google Chrome. See how to activate!